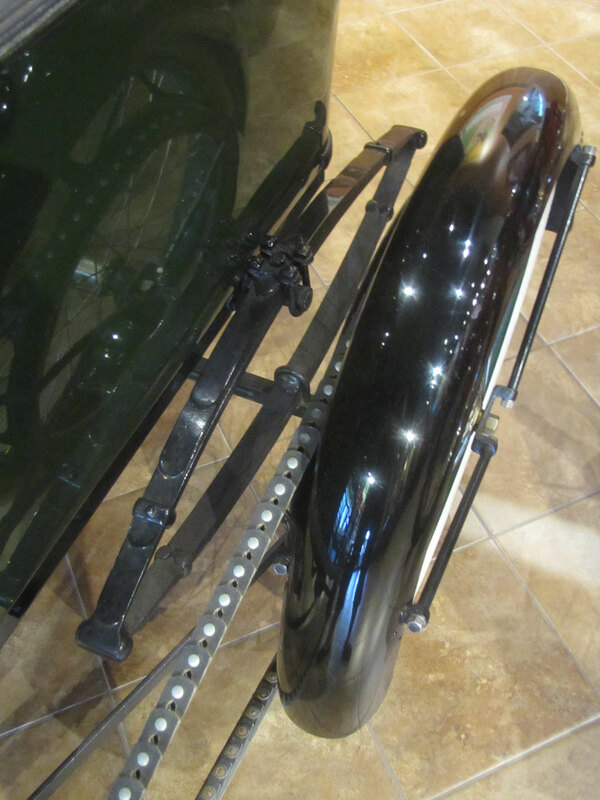 By 1914 horse drawn transportation was fading and internal combustion, some electric and steam were the “horse power” of the day. 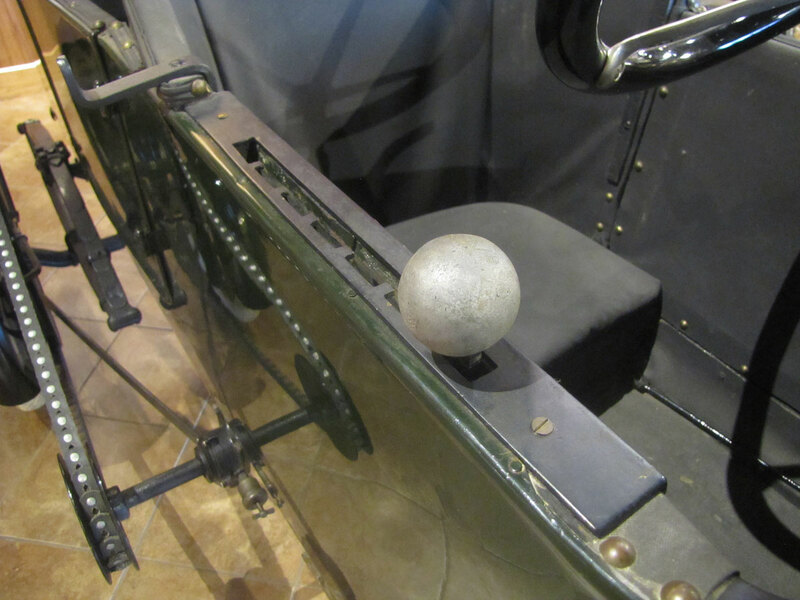 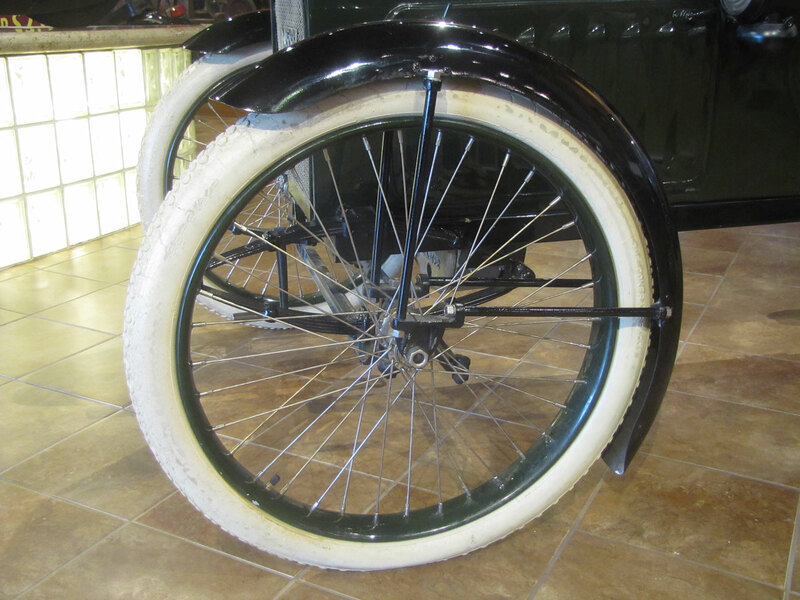 The field was still wide open for inventors with great expansion of automobile and motorcycle designs. 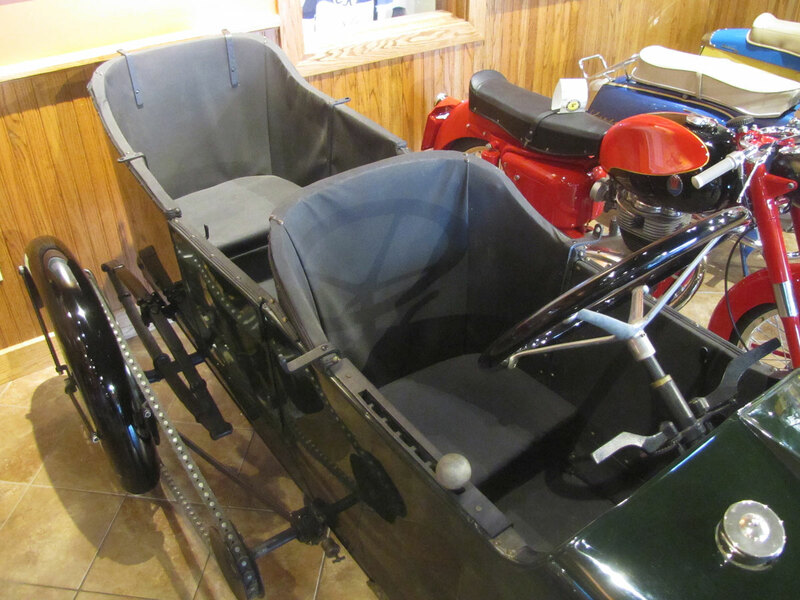 In between were “cycle cars,” lightweight, two passenger side by side or tandem seating cars which used large displacement motorcycle engines. 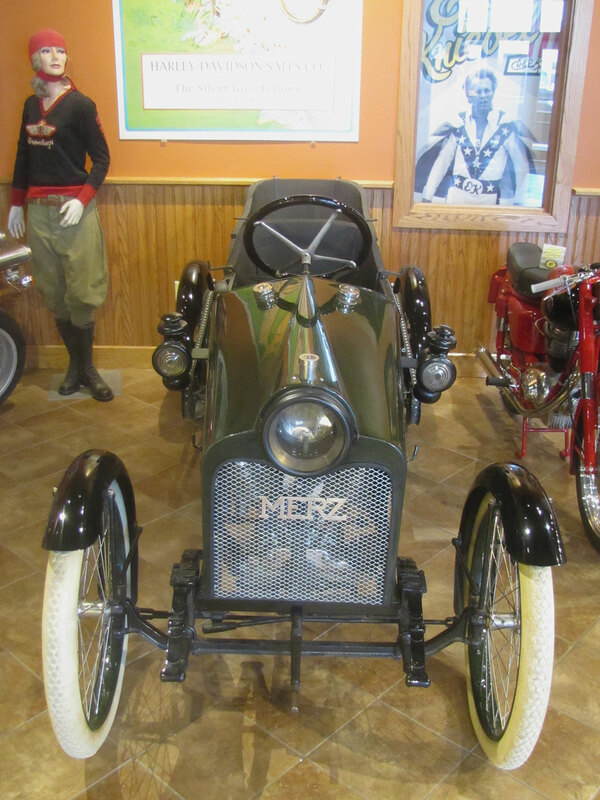 Charley Merz, of auto racing fame, Indianapolis, Indiana, built the Merz we are featuring this week. 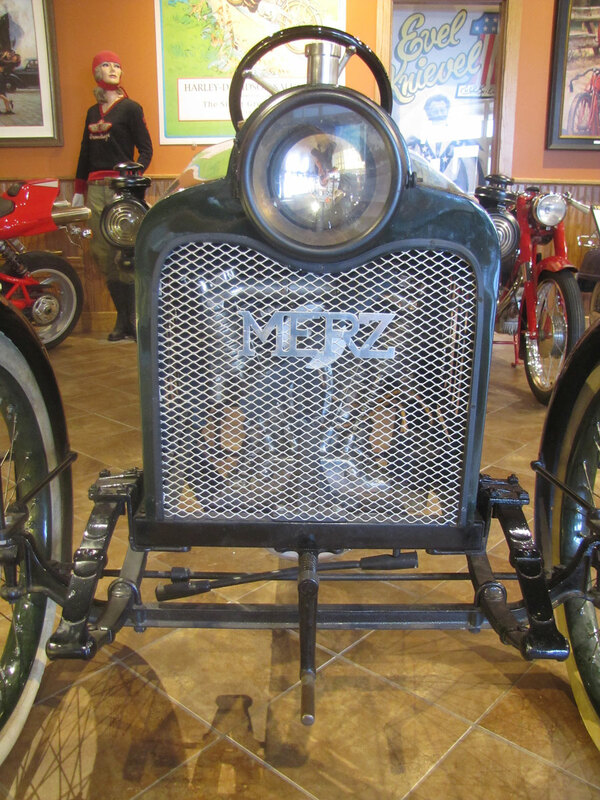 Today, only two Merz are known to exist, this is one that Mike Wolfe of American Pickers fame, originally picked from a gentleman in Florida and later sold to John Parham. 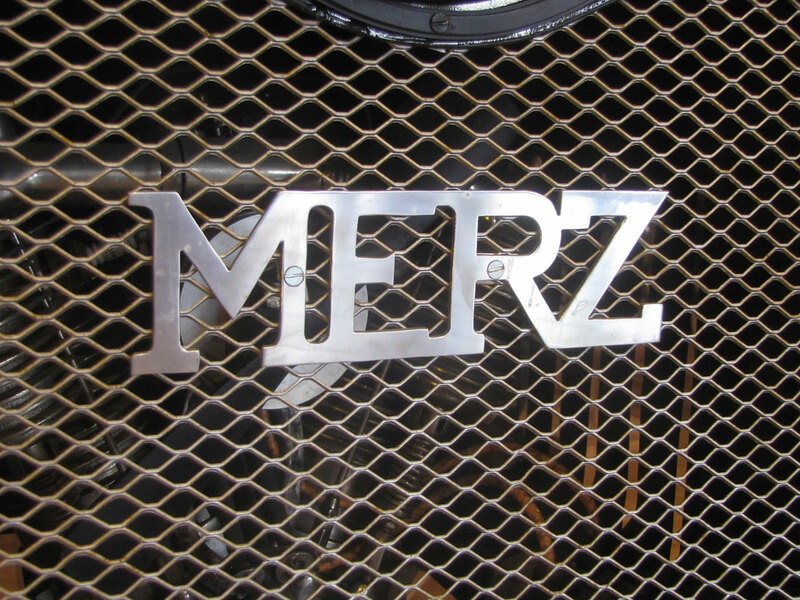 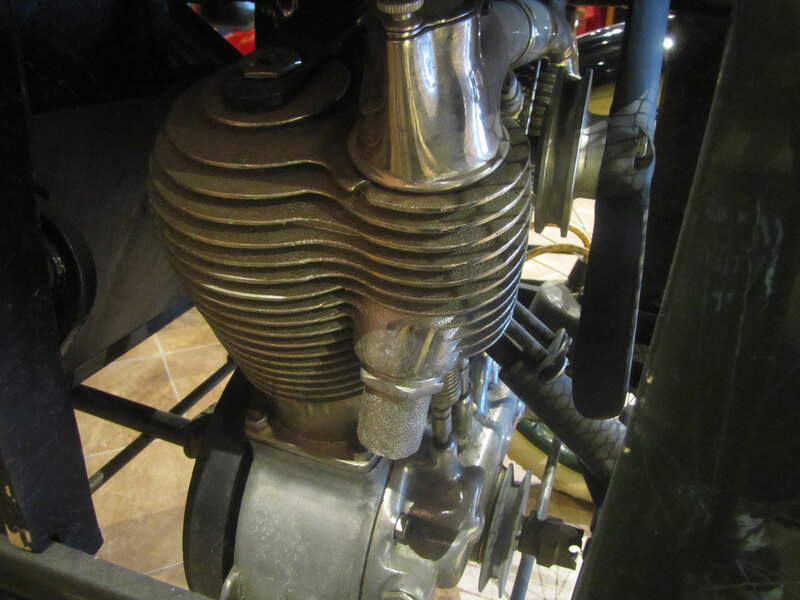 Merz used a V-Twin engine supplied by DeLuxe which also supplied power for Sears and Minneapolis motorcycles and other brands. 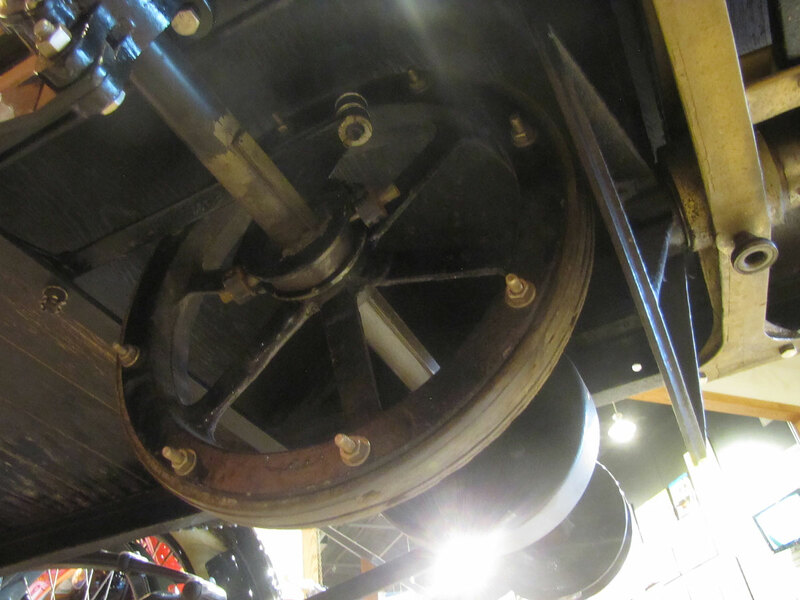 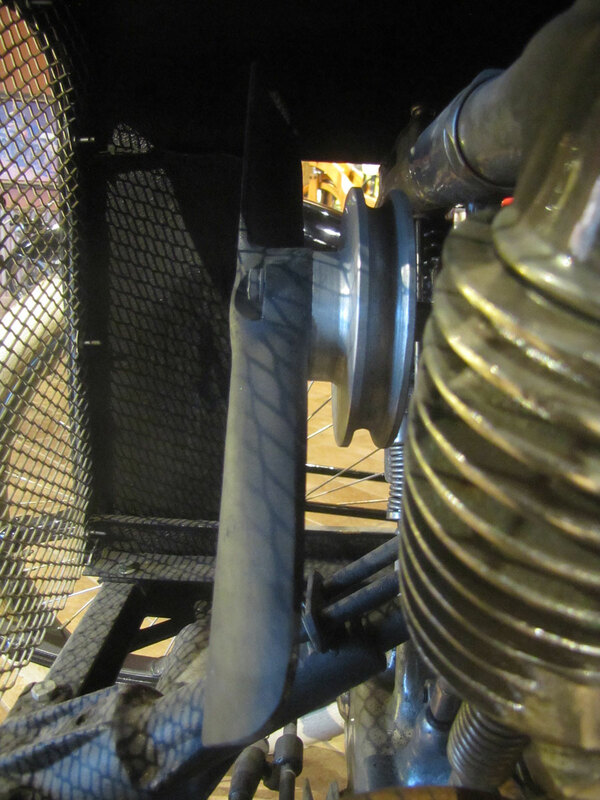 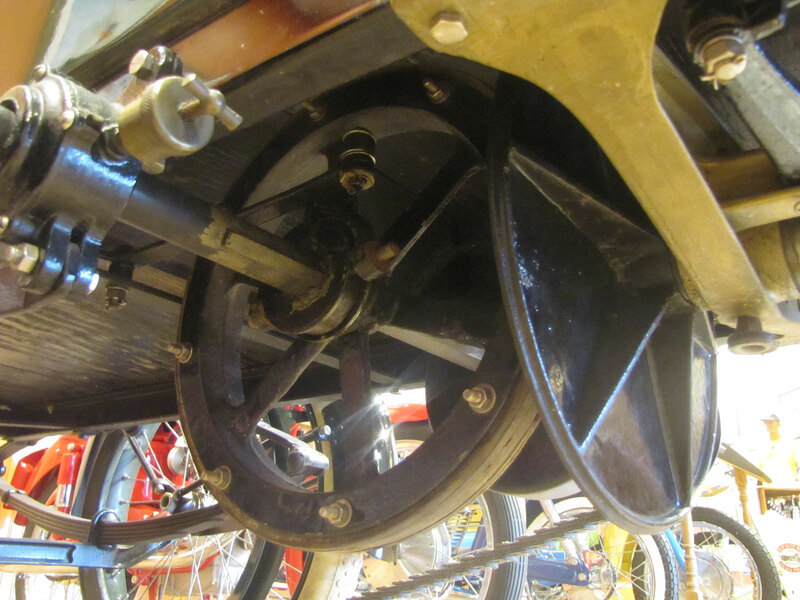 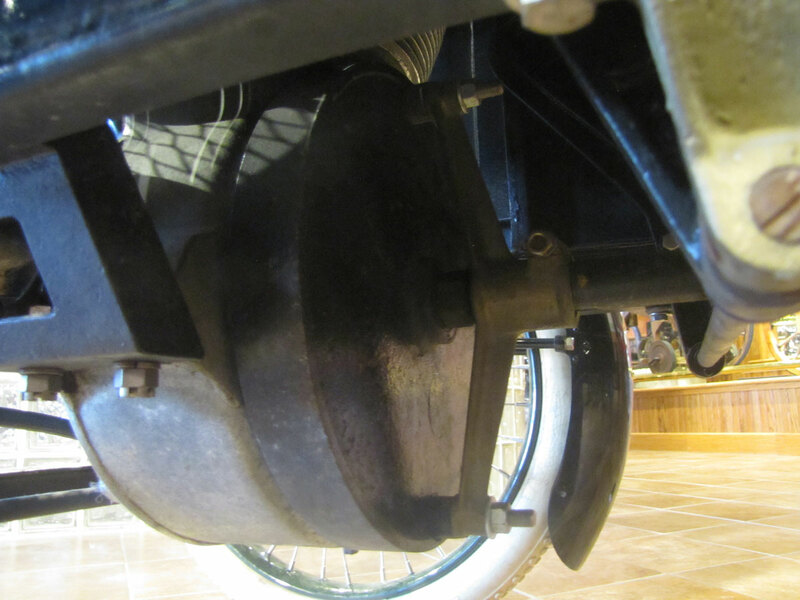 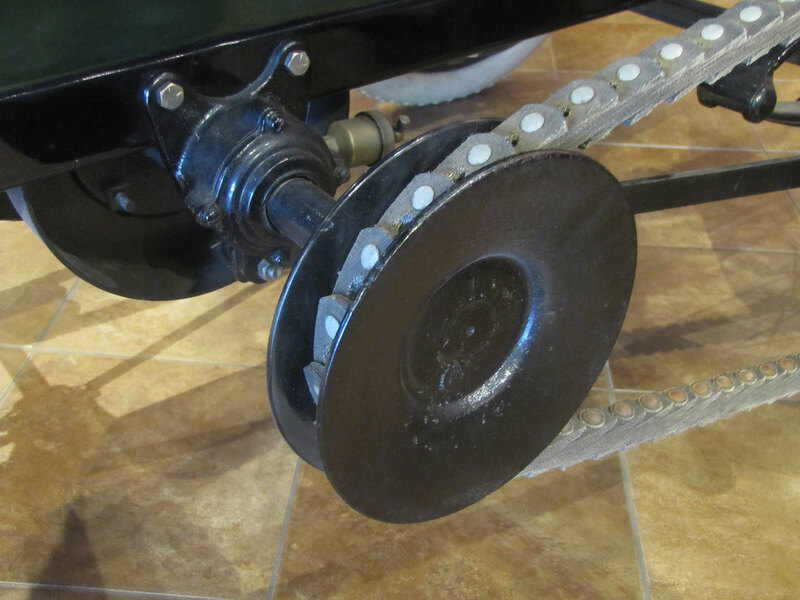 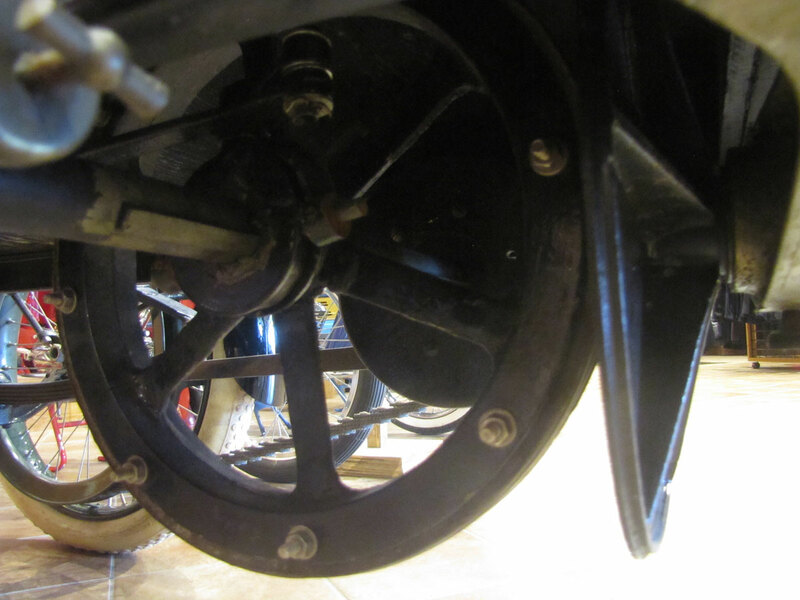 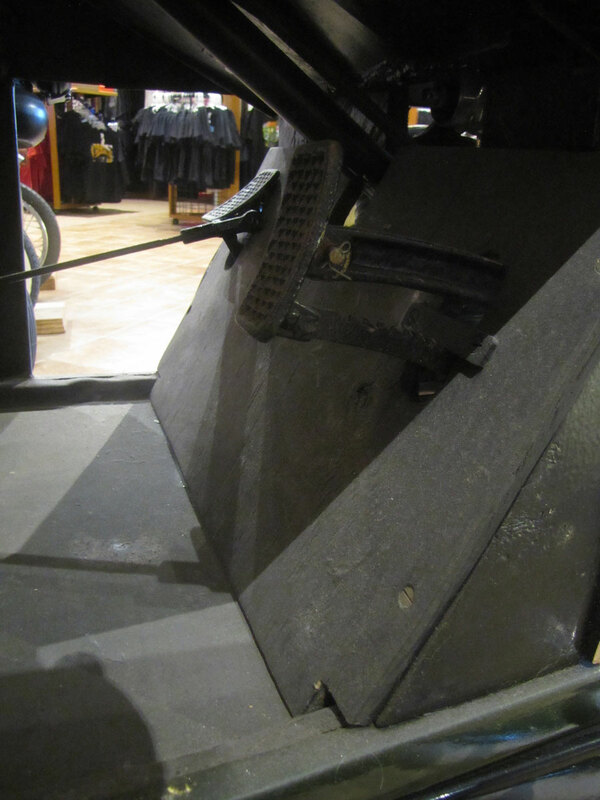 Drive on the Merz is by a variable speed friction transmission and a long v-belt to large pulleys on each rear wheel. 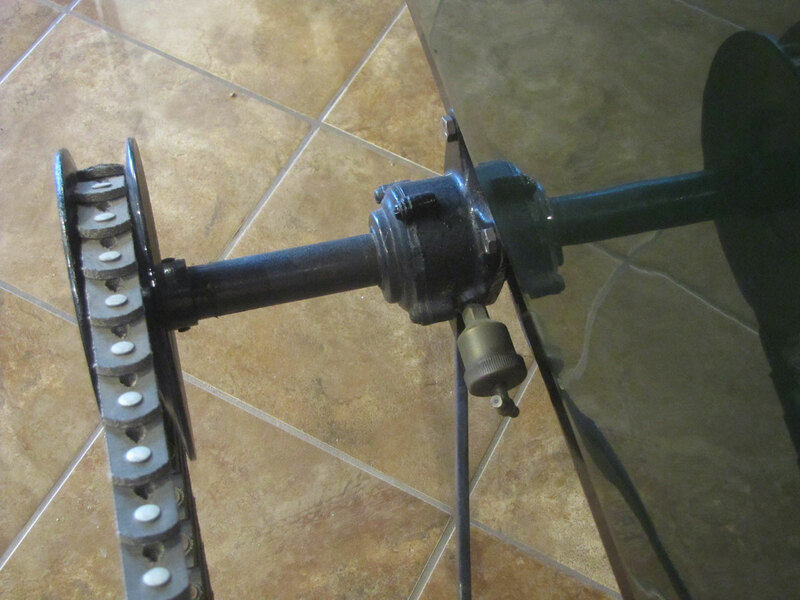 (*Note the included photo of an antique drill press which uses the same variable speed transmission design.) 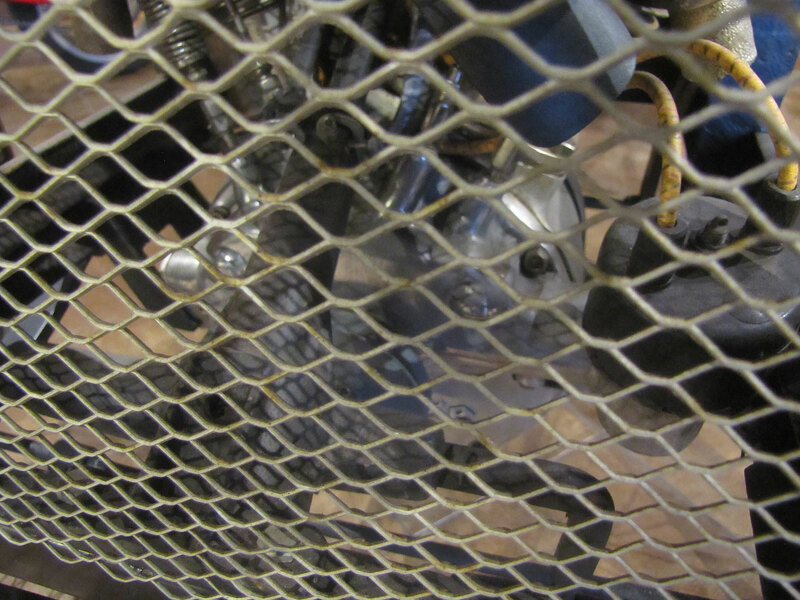 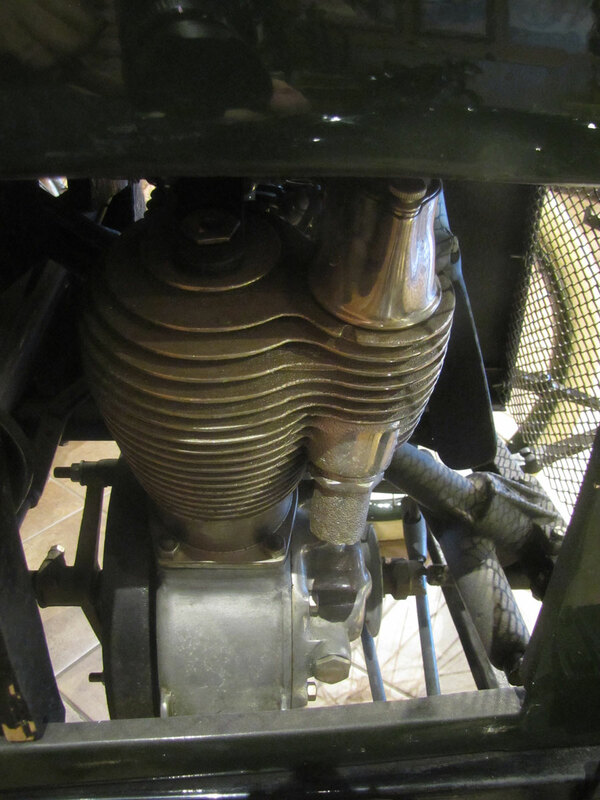 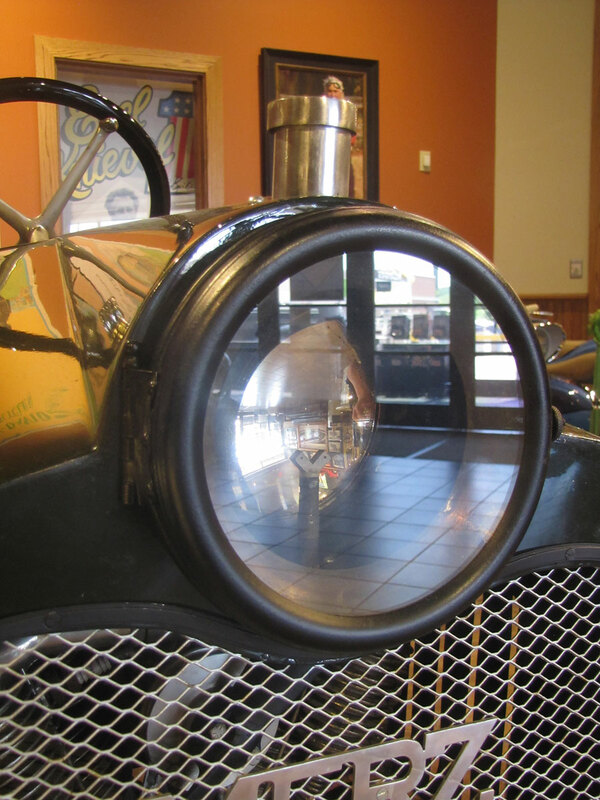 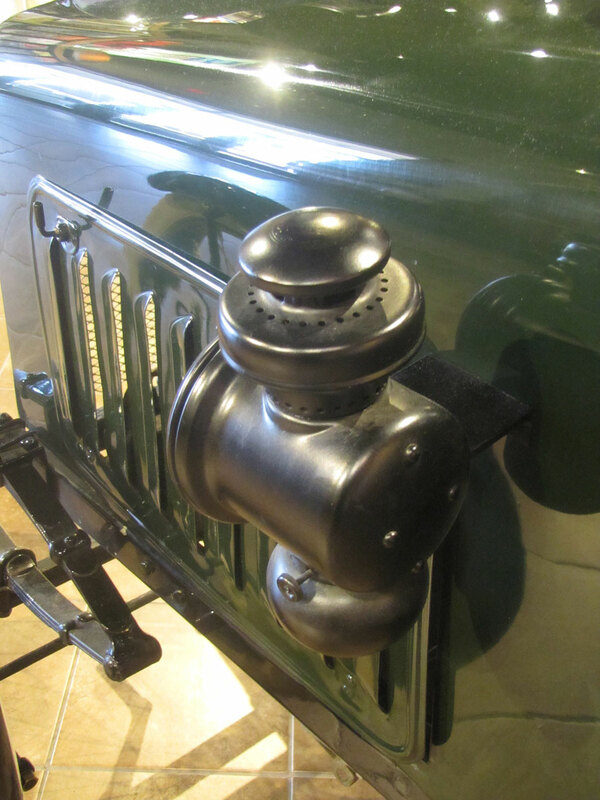 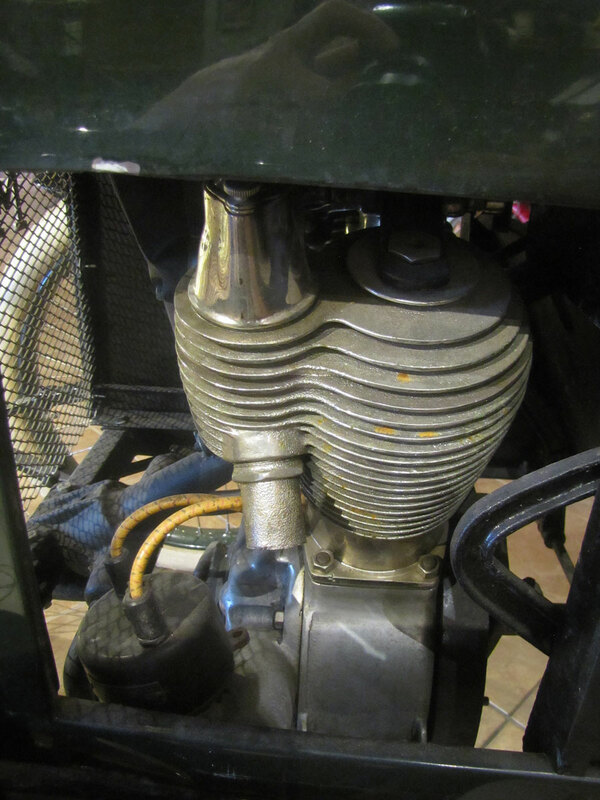 Unique was the single headlight located where the radiator in most cars was located; the Merz was air-cooled with a fan driven by the v-twin engine. 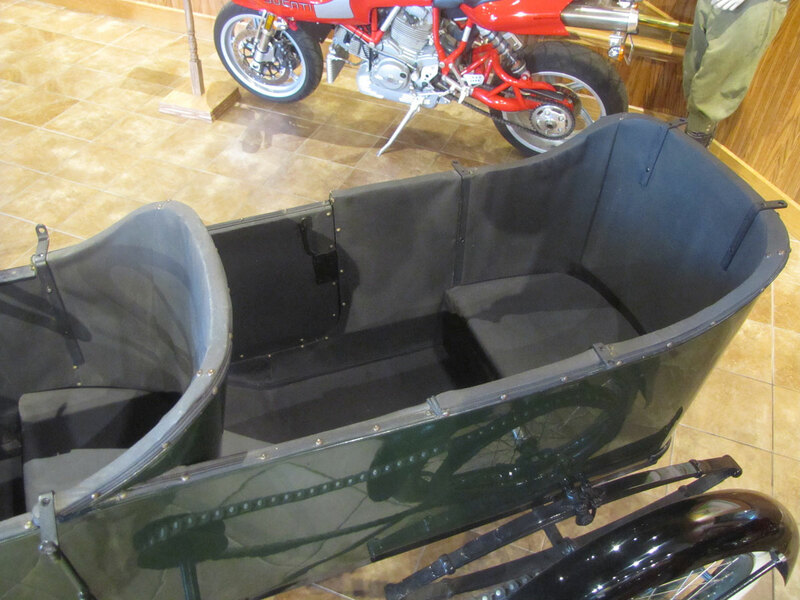 Cycle Cars were an interesting niche between motorcycles and cars, especially in England and Europe. 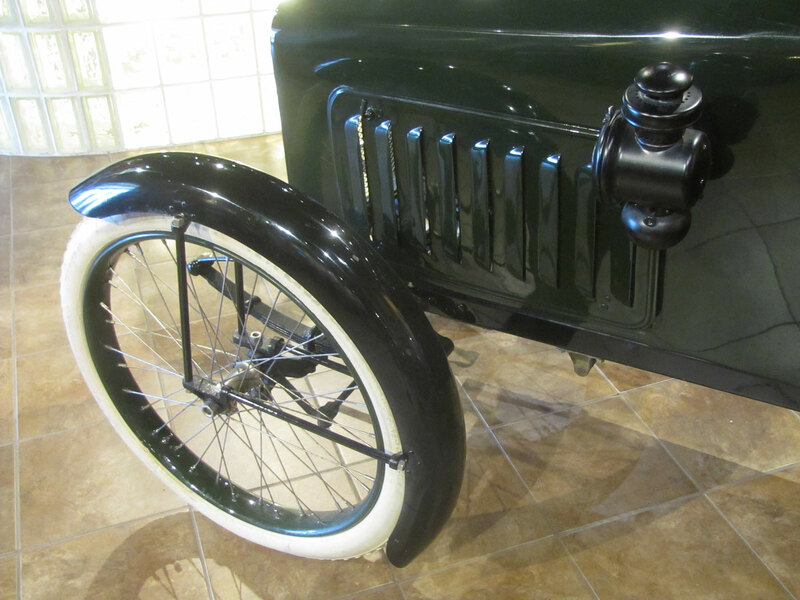 This two-passenger “tandem” machine made a lot of sense as its 40 inch track and 84 inch wheelbase made it a good fit in urban areas, the small engine gave good fuel mileage. 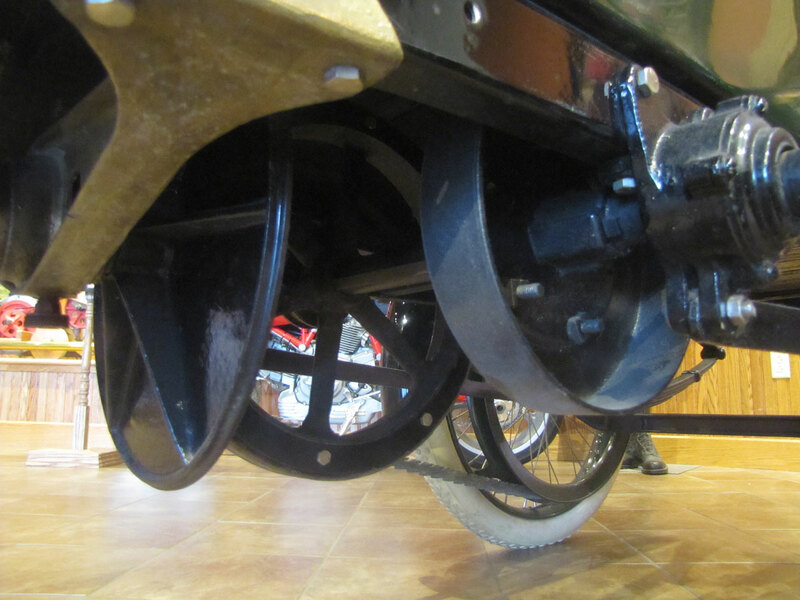 It may not have fared well on rutted country roads being less than typical in track dimension. 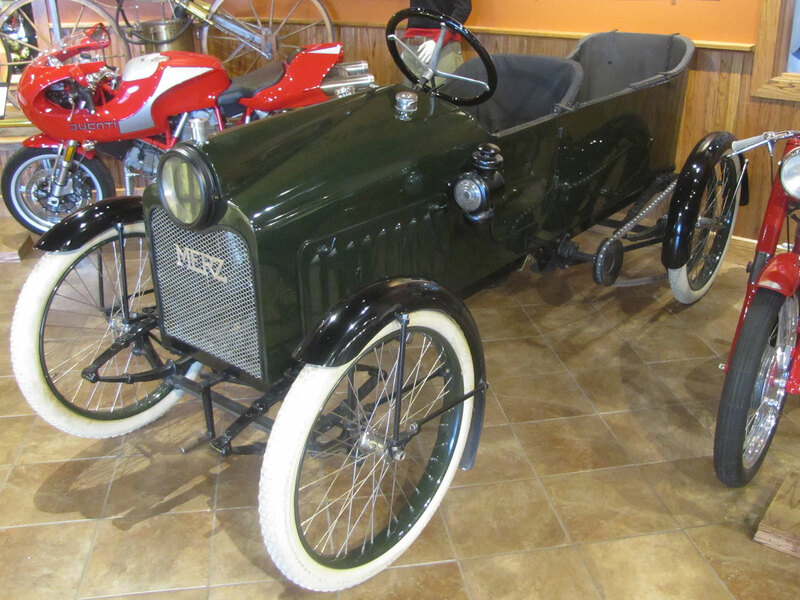 But with the Merz priced at $450, Henry Ford’s four passenger Model T, for just a few dollars more, was stiff competition for cycle cars. 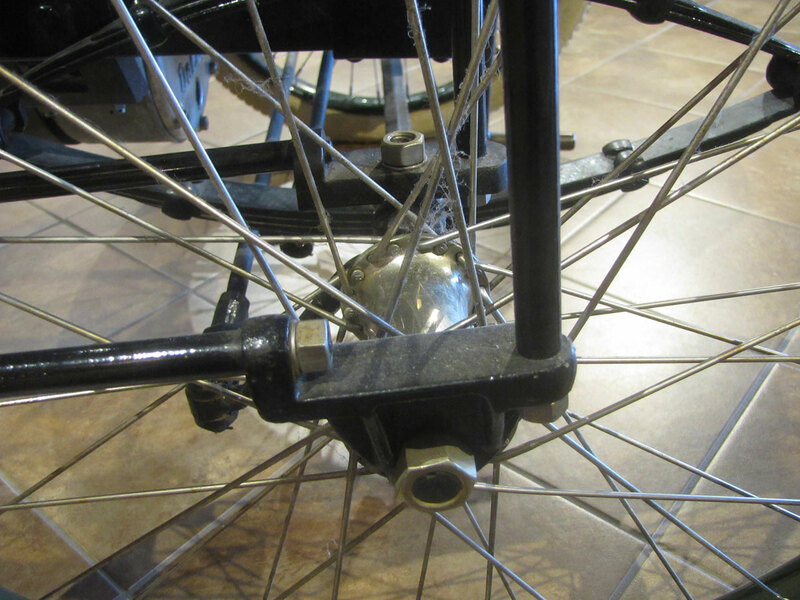 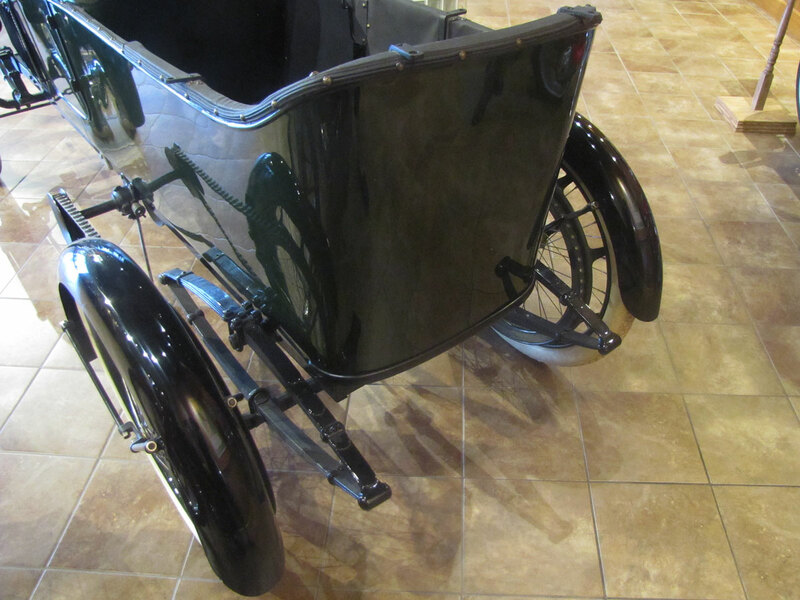 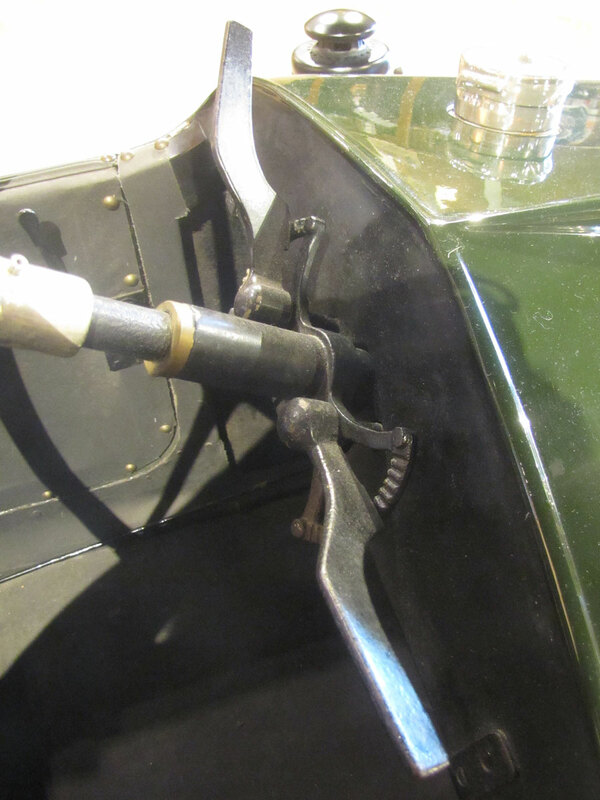 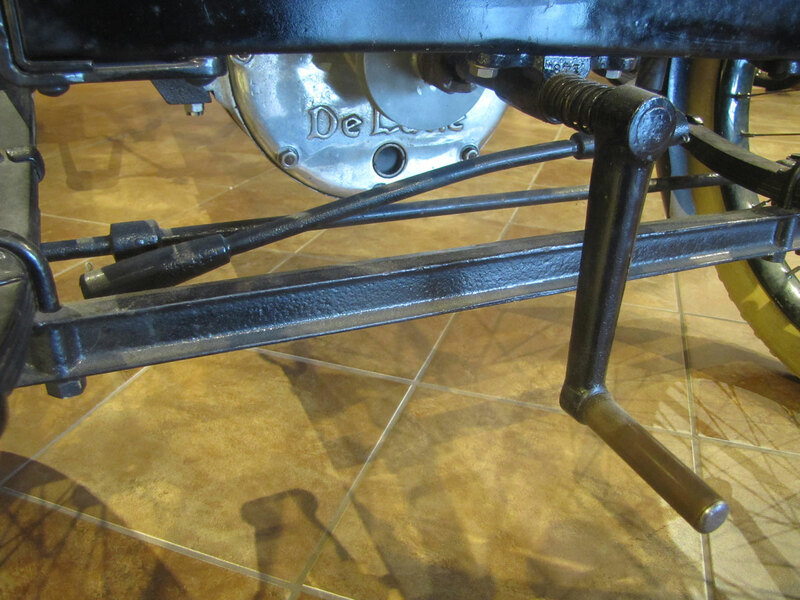 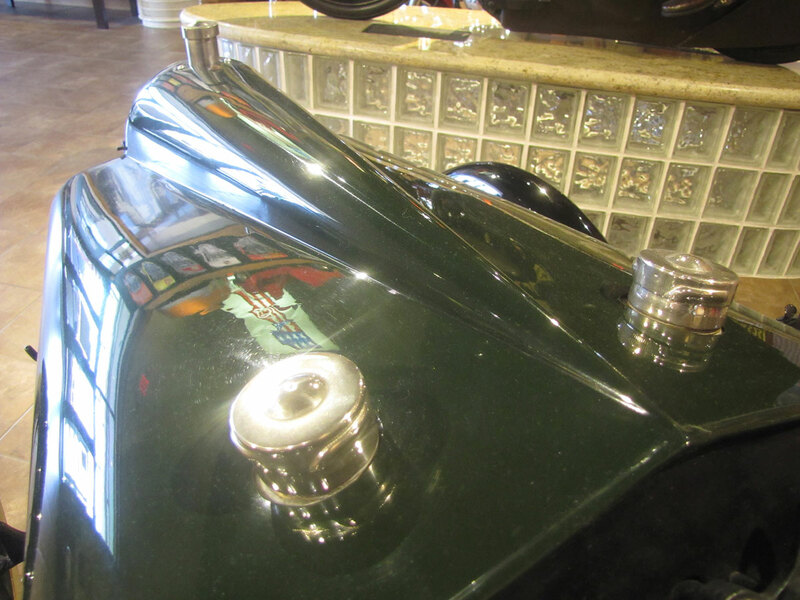 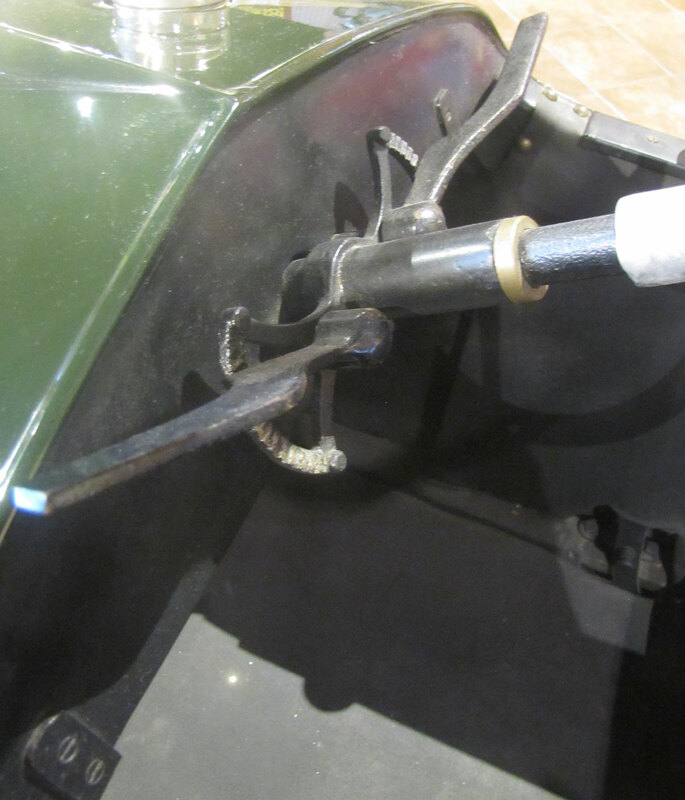 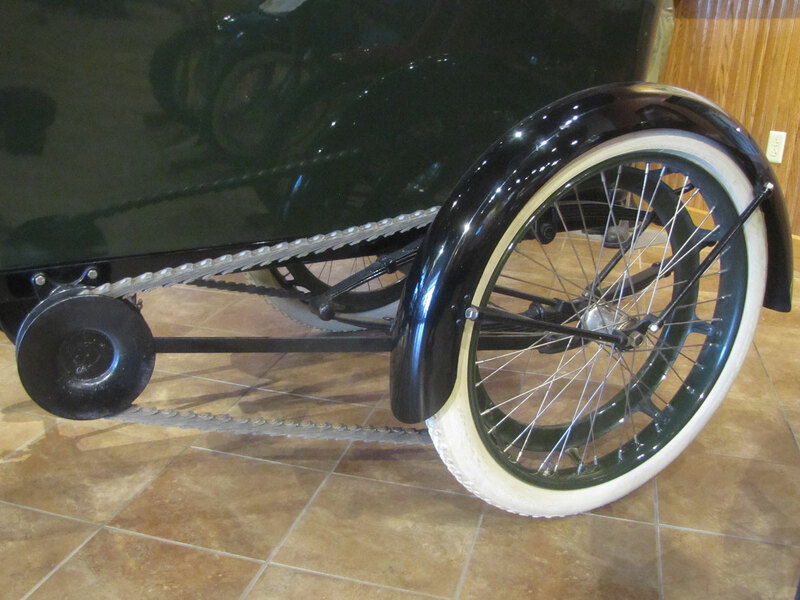 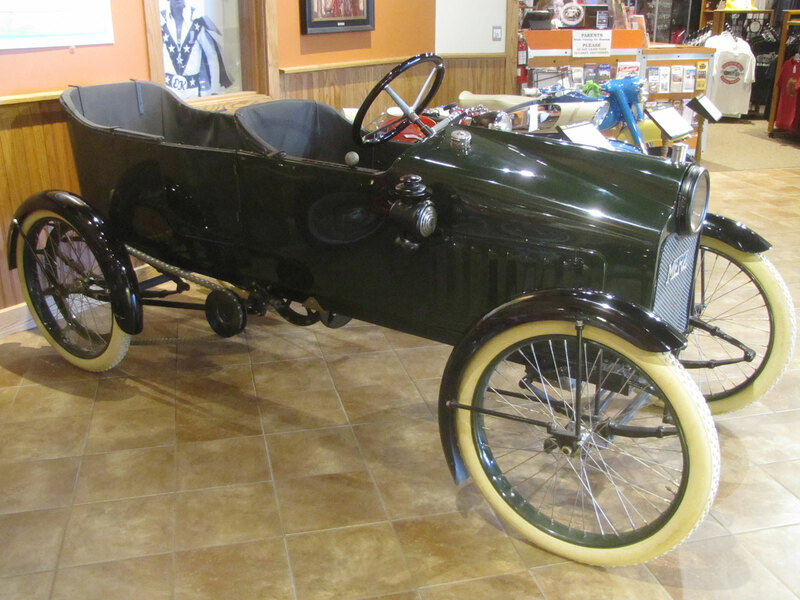 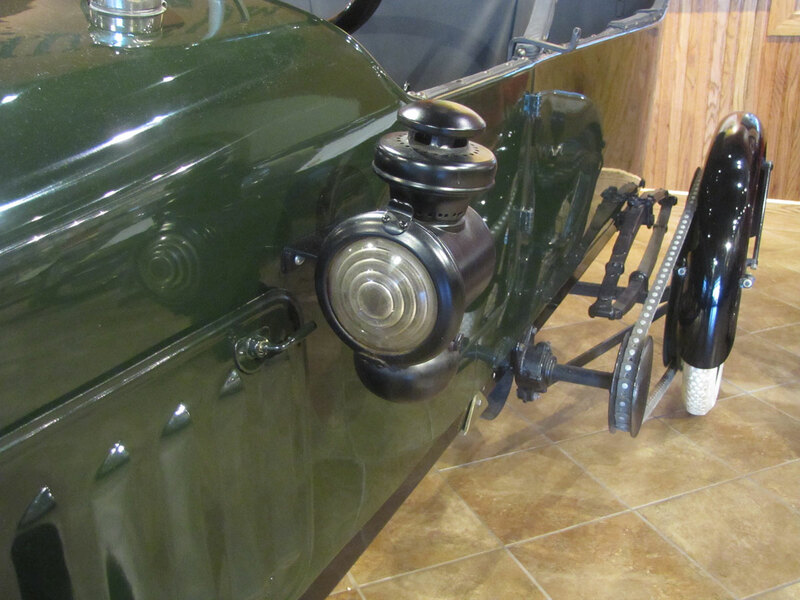 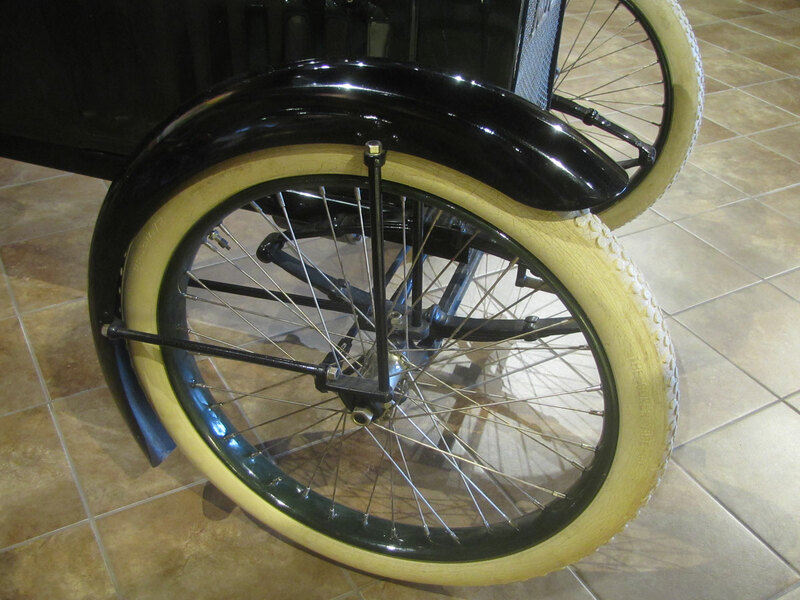 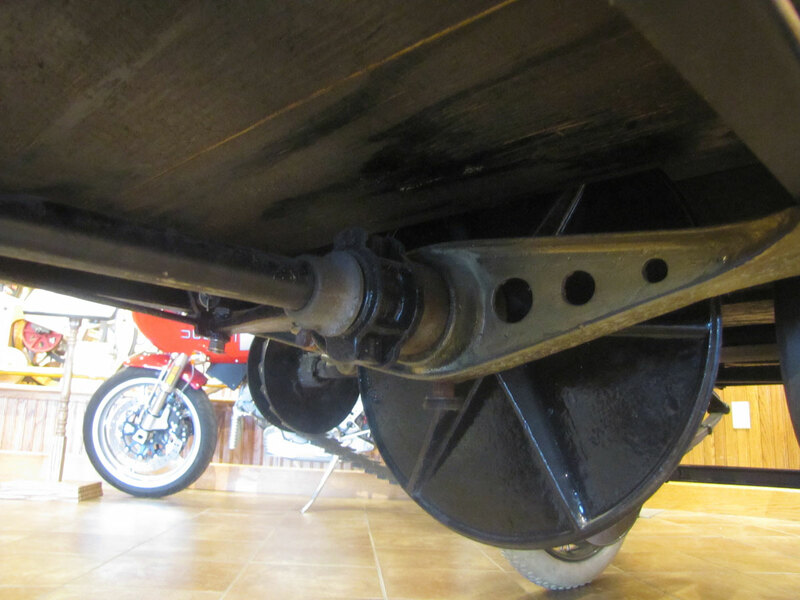 The National Motorcycle Museum has several cycle cars on display including an interesting Henderson Four powered machine that looks like a down-sized Ford Model A. 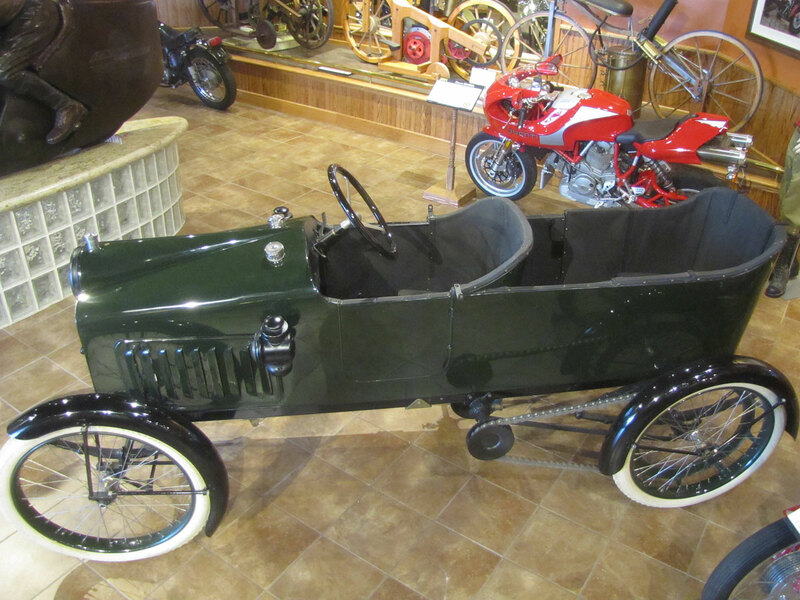 In early 2019 the STECO cycle car in the Museum’s collection will go on display. 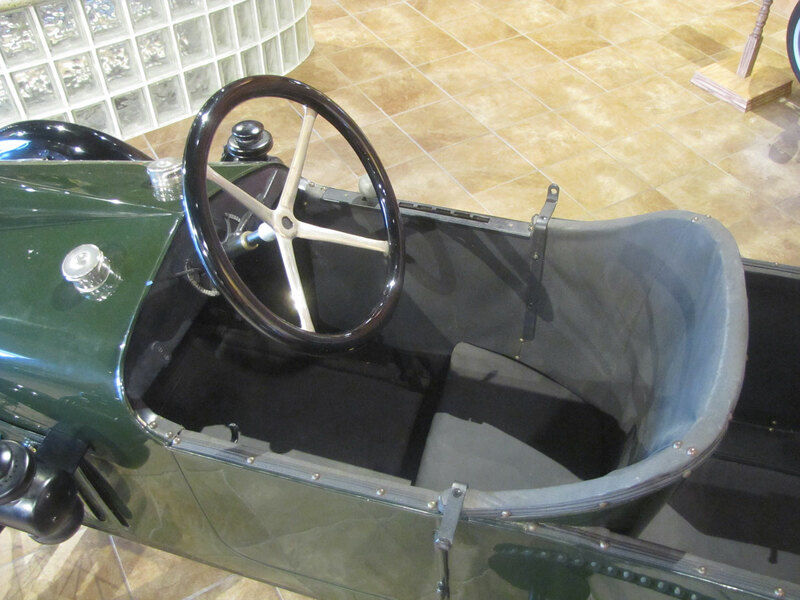 Rare to find 100+ years later, engineering drawings and the actual wood casting patterns used to make the STECO will be part of the exhibition. 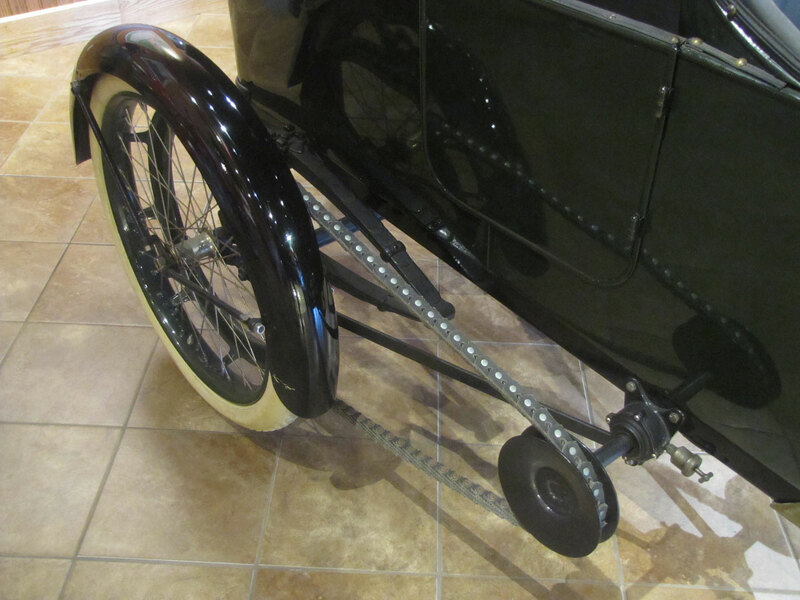 The STECO bi-plane, cycle cars, motorcycles, bicycles, pedal cars and toys along with artwork will be part of the new Early American Transportation exhibition due to open in early 2019.